Deloitte study explores 13 disruptive innovations to transformative effect. The manufacturing industry as we know it is fundamentally changing, with advanced technologies increasingly underpinning global competitiveness and economic prosperity. 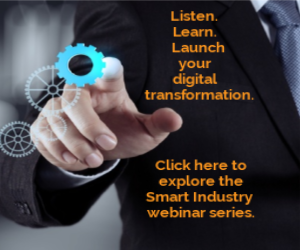 Many leading 21st-century manufacturers are converging digital and physical worlds in which sophisticated hardware combined with innovative software, sensors, and massive amounts of data and analytics is expected to produce smarter products, more efficient processes, and more closely connected customers, suppliers, and manufacturers. As growing numbers of manufacturing companies look to embark on this transformative journey and navigate through a maze of challenges and opportunities, business leaders—understandably—have questions: What exponential technologies show the most promise? What is the magnitude of impact that can be expected from adopting and deploying these exponential technologies? How is the manufacturing industry leveraging these technologies in new and distinctive ways to solve current business issues and/or transform our future? What does it really mean to become a Digital Manufacturing Enterprise (DME) of the future, and how might our business model evolve? How do we move toward our future vision without fundamentally disrupting what we do today? What challenges do we face and what incentives will we need to drive change throughout our organization and broader ecosystem? Figure 1. Exponential technologies are those that enable change at a rapidly accelerating, nonlinear pace facilitated by substantial progress (and cost reduction) in areas such as computer power, bandwidth and data storage. Why is Industry 4.0 different from previous industrial revolutions, especially for manufacturers? First and foremost, the pace of change we are experiencing is substantially faster than ever before. It is no longer incremental; it is disruptive and nonlinear. This is a departure from historical manufacturing practices, which have been linear and based on incremental change and continuous improvement. Players historically were subject to the same relative constraints on assets; winners were those that could optimize within those constraints. Business models assumed a linear, one-way connection between supplier and customer. In contrast, DMEs transforming via Industry 4.0 are beginning to operate much more in ecosystems characterized by multidirectional relationships and “goods” being exchanged inclusive of data, insights, and services. DME organizations that use exponential technologies (Figure 1) to transform via Industry 4.0 enable opportunities to create an efficient, real-time automated feedback loop—data flows from the physical space to digital; capabilities enrich that data and deliver information and insights back to the physical world—that can unlock step-change value and provide insights and visibility to solve for incredibly complex problems and/or previously unknown opportunities. This smart and integrated loop between the digital and physical worlds is where many manufacturers find much of the unrealized value and opportunity is created. But manufacturers have built their successes and legacies on repeatable and predictable processes, creating a culture that embraces an incremental versus a transformational approach. This culture often leads to inertia, which, in turn, creates blind spots for traditional manufacturers to adjust quickly enough in an exponentially changing world. Adapting to this new reality requires transformation that puts technology and digitalization at the core. Executives interviewed say that many established manufacturers—especially historically successful ones lacking a strong-enough sense of urgency—may have difficulty becoming flexible and agile enough to shepherd this transformation from concept to realization at the pace this industrial revolution requires. Meanwhile, barriers to entry are lowering, allowing small, agile new entrants to potentially disrupt the global manufacturing landscape. Therefore, nearly universally, executives interviewed indicate that digital transformation is a critically important issue for all manufacturers and state that there needs to be a clear and compelling sense of urgency within the entire industry to adapt, flourish, and thrive. Exponential technologies are indispensable tools to help manufacturers address the bigger concerns and challenges that are part and parcel of transformation ushered in by Industry 4.0. These technologies grow and enable change at an accelerating pace, and are often used in conjunction with each other to fundamentally disrupt processes and industries—and create opportunities. Exponential technologies can be used in core operations and markets to move an organization beyond the realm of incremental change, and at the edge to enable true transformational growth and new business models. Executives’ indicated awareness of exponential technologies does not translate to transformation. Action does. The exponential transformation journey is an iterative process that can be characterized by three phases (Figure 2): Observe & Imagine, Explore & Deliver, and Activate & Run. During the first phase of Observe & Imagine, manufacturing organizations must establish an exponential vision and prioritize opportunities. In this early phase, manufacturers set out to understand the nature of disruptive exponential forces and appreciate the urgency to innovate. As organizations mature to the Explore & Deliver phase, they must move from strategy to prototyping as quickly as possible while using an iterative process to quickly add value. In this middle phase, manufacturers attain a deep understanding of priority exponentials and/or ecosystem components to focus on, as well as identify discrete and tangible opportunities, including business cases. When it comes time to Activate & Run, organizations must operate a scalable exponential process that continuously measures performance and drives transformation cycles to think big, start small, and act fast. In this final phase, progressive manufacturers must create and implement a road map of opportunities to learn, adapt, and grow, all the while refining the road map as it is being executed. Executives also agree that manufacturing companies should view exponential transformation holistically in terms of how it can evolve traditional, product-centric innovation. Manufacturers could benefit by exploring a more expansive innovation framework (Figure 3). Companies also should realize that most of innovation’s value is realized outside the product—be it in the profit/business model or at the customer-engagement level. Therefore, organizations should not restrict the application of exponential technologies (and other resources) to products and processes alone. Figure 2. Simple awareness of exponential technologies does not translate to transformation. Action does. The exponential transformation journey is an iterative process that can be characterized by three phases. Achieving manufacturing transformation and developing an exponential mind-set also require thoughtful, engaged, and brave company leadership—executives with the courage to allocate resources, invest in new technologies, and take risks (albeit ones that are calculated and informed). Such leadership provides the agency for technology development and implementation—as well as calendar time to address barriers large and small—and clearly articulates the enterprise rationale and mandate for adoption to help ensure cultural alignment. And most of all, such leadership can empower employees at all levels to work to their greatest potential. Executives seeking to develop an exponential mind-set should consider the following recommendations based on findings from our executive interviews. Know what problem(s) you are trying to solve. Adopt advanced technologies based on an existing and well-considered business problem and/or imperative coupled with a clear action plan. As needed, start small with pilots that address unmet internal or customer-based needs, accruing wins that prove ROI along the way as larger implementations launch. Entrust small teams to innovate at the edge.Make organizational structure flexible. Provide teams with the autonomy and means to fail fast, and fail better—until they succeed—while protecting them from corporate rigidity. “The worst they can do is come up with a threat to the core business—better to disrupt yourself, and keep the innovation in your own tent,” advised a technology domain expert. Operate outside traditional walls.Be open to exploring the broader ecosystem to gain or leverage talent, capabilities, or solutions. For example, work with suppliers and customers to develop a common language for supply chain alignment, or partner with technology domain start-ups to access know-how and talent or universities and/or national labs. Be open to learning and leveraging assets that aren’t your own. Raise the national dialogue on system-level competitiveness and innovation enablers.Public-private partnerships (PPPs) fosterand provide forums for industry to collaborate, and to dialogue withacademia and government about areas critical for manufacturingcompetitiveness. These may include intellectual property protection, burdensomeregulations, R&D investment and tax credits, STEM education,and the ability to attract and retain needed talent. PPPs may helpmanufacturers’ concerns be heard by policymakers and othermembers of the ecosystem and build an impetus for change.